Do I Need a Screen Protector if I Get a Galaxy S8 or S8+? My phone is the only thing that goes in my front right pants pocket. I put it in screen side facing toward my thigh. I've never used a screen protector and I've never gotten a scratch, not even a teensy scratch. Just look at the stunning display screen on the S8+. It would be a shame to get a scratch on that screen. I've read conflicting posts here on AC and elsewhere that the Gorilla Glass on the S8 and S8+ is "softer" than previous versions of Gorilla Glass. People have complained about getting scratches on their screens. Others claim it is the oleophobic coating and not the screen that is scratched. Some say they've had S6's and S7's and never had scratches but now their S8 is getting scratched. So S8 and S8+ owners--it's been almost six months since the phone has been released and several months since most of these posts about scratches were written. You've got several more months of use on your phone. How about an update? Have you noticed scratching or not? Do I need a screen protector if I get a Galaxy S8+? No screen protector on my S8+ which I've had since April. I work outdoors for a living and keep the phone in my front or back pocket. Not a single scratch on it. I dont use the screen covers myself. Ive had mine since April 19th and there are only two very light difficult to see scratches. Those were likely from the bag I sometimes put the phone in when carrying a lot of stuff. If you dont want to risk breaking it you will need a tempered glass. I bought a pelican case for my s8 and got a free ballistic glass screensaver with it. I tried to install it but didn't like it at all. Have been rocking with NO screen protector and haven't had any cracks. I have dropped it several times in my otter box but haven't cracked the screen yet. The curved edges make it difficult for a decent screensaver. 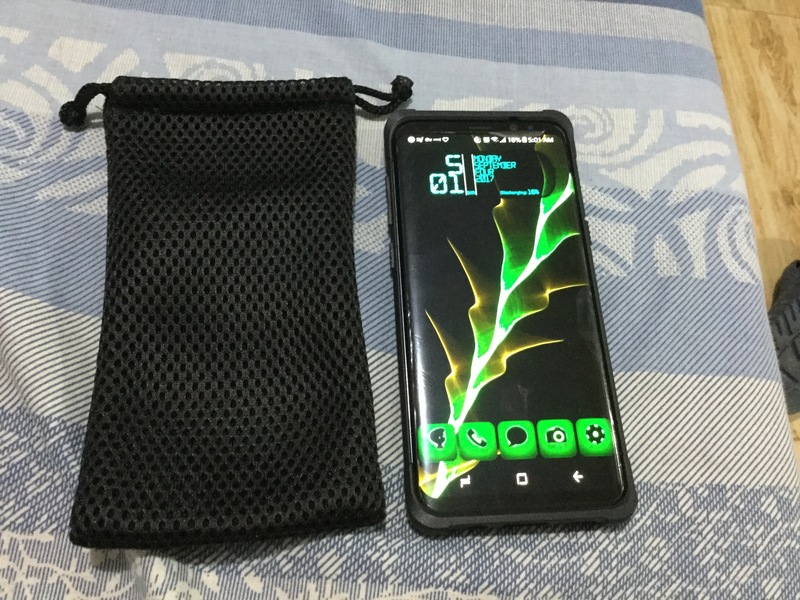 I'm using a leather flip case without screen protector and have no scratches. I use the zagg HD clear screen protector and it works great and works with a case. I had it installed the moment my phone came out of the box. I have not used one. I've had this phone since it was released. Been using the Otao TGSP with tray installation for a month and love it. Saved my phone when it hit a metal desk leg right on the edge portion of screen. It also doesn't cost an arm and a leg. 4 months, no scratches of any kind. Naked screed with folio case. No screen protector since release. No scratches of any kind. I don't even use a case. Just personal preference. I'm used to having a protector and case. Some never use either. "If you don't want to risk breaking it you will need a tempered glass"
That's a false statement. You don't NEED a screen protector, not in the slightest. False. so if it drops what protects the screen? Thanks for the responses, everybody. Unfortunately I'm not getting any clarity on this question. With some saying it scratched easily and others saying they are scratch-free I'm wondering if there is a problem with Gorilla Glass quality consistency? I'm thinking if I get the S8+ I will not put on a screen protector. I have dropped my galaxy s8 with a case on it at least a dozen times. I am sure if something where to have come in direct contact with the actual screen it would have shattered but it hasn't cracked yet. I don't notice any scratches even though I know there are some light scratches on the screen. I have a screen protector I didn't like sitting there wanting to be used however I continue to go WITHOUT a screen protector. I would go with a case that has good coverage on the top and bottom edges and say that you can successfully use your s8 without a screen protector. Good choice. Don't waste your money. You don't need it. Just take care of your phone and don't put it in a pocket full of sand and you'll be fine. If it makes you feel safer putting on a screen protector, I say go for it. Get a basic Zagg one and a solid case like Supcase or Otterbox. Something with shock protection. I was actually advised against getting a tempered glass protector. My S7 Edge rocked a basic Zagg screen and a Supcase holster case and it suited me just fine. I basically have the same setup on my S8+ though the Zagg tends to peel a little on the corners when I snap on the case. I guess since you are putting it in your front pocket, just keep your front pocket clean and you're good. But if you are like me who put the phone on a bag together with other items you'll need screen protector. Or at least a pouch where I put my phone before putting it inside my bag. Having sifted through this forum and others concerning this topic my conclusion is that Samsung must have used substandard Gorilla Glass on some production runs. It would be interesting to gather the manufacturing dates on the phones with scratches and see if there is any date correlation.